Meatloafmas 2017 was a great success! Hope yours was as good as ours. Now here’s a treat, Jonny hung around and we had a fun, little after party episode with a Franks Red Hot ketchup. Everyone’s favorite feline guest is back on Ketchup Kitchen Catchups and she has brought a special treat. 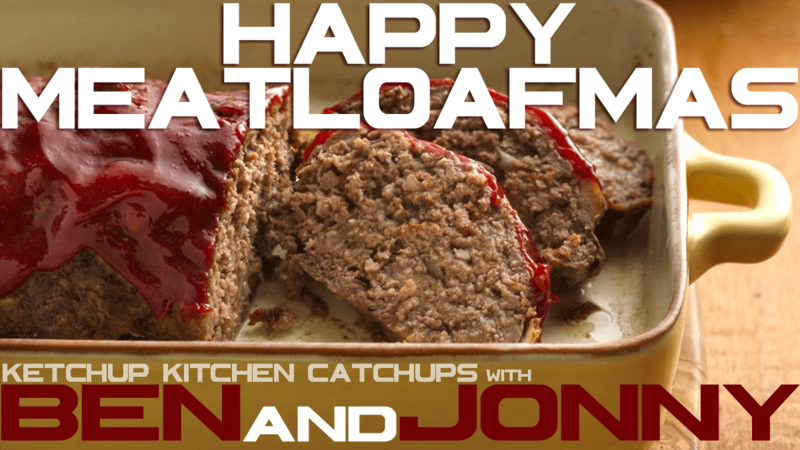 We’re gonna celebrate Meatloafmas in August with a special meatloaf she brought to share. Made with classic Hunt’s brand ketchup, I give her kitty-kat cooking a try.